City were fast out of the blocks in this match and took the game to Stourbridge early on. Their neat fast football was the difference with Stourbridge looking to go long with their attacks and City building more from the back. The break through came on 33 minutes when Riley Keasey smashed an unstoppable 25 yarder home for 1.0 and City then ramped it up. Hassan Shaw was fouled for a penalty on 36 minutes but Christos Gabriel's kick was superbly saved by the Stourbridge GK. At 1.0 Stourbridge had two good chances from headers but couldn't convert and them with 2 minutes to go to half time, Gabriel and Shah fed Matty Patrick-Rivers on the right and he cleverly cut inside and smashed one home for 2.0 and at that stage City were in the driving seat. No one could have predicted what was going to happen. City started the second half with a flurry and Gabriel and Shah both had chances to add to the lead. Then on 64 minutes an interception led to a lovely strike from 20 yards for Stourbridge and at 2.1 they sensed something and began to press hard. On 68 minutes a defensive slip saw Stourbridges's equaliser hammered in and at 2.2 City were under the cosh. City then woke up and turned on the attacking style with some great football and a goal looked inevitable. It came on 72 minutes when Keasey again got on the end of a cross and fired home. That wasn't it. At 3.2 City continued to probe whilst Stourbridge looked a threat on the break and neither team looked entirely comfortable. Another slip on 73 minutes after a long ball saw Stourbridge equalise with a great strike past the advancing Sean Dayus from 18 yards and somehow City had gone from 2.0 up to 3.3 in an end to end game. Stourbridge continued to send probing balls into the City half and on 75 minutes a good move on the left saw them get free in the box and manage to slot past Dayus for 4.3 and by then, it was anyone's game. City were certainly up for the challenge and they worked hard to find an opening. Joel Owusu got free on the left on 79 minutes and his fine cross was prodded home by Riley Keasey at the far post for his well deserved hat trick and at 4.4 it was always going to be a tense finish. City it has to be said have character. 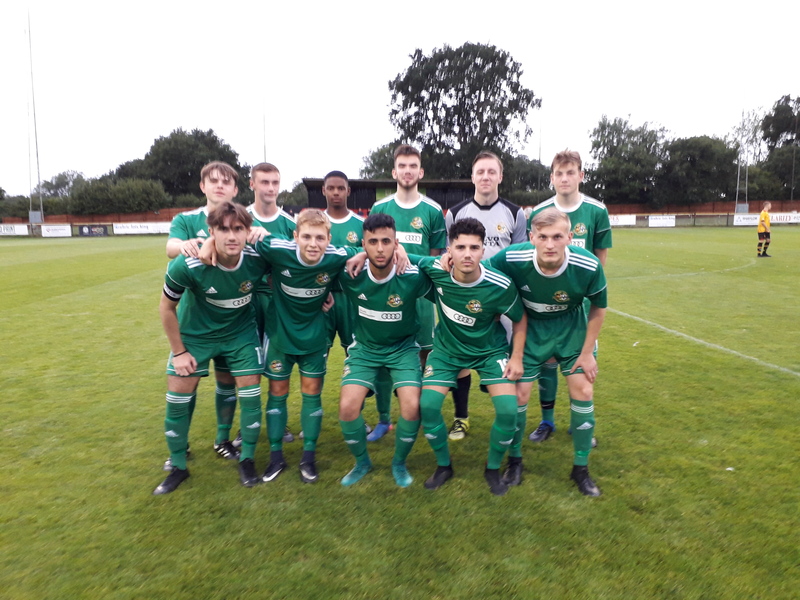 Just when a draw looked inevitable, substitutes Thomas Griffin and Tristan Webby combined to set up Keasey on 90 minutes and his pinpoint cross for Joe Clarke saw him head home City's 5th and somehow City had managed to conjure up a winner at the close. 5.4 and City just edging it. At the final whistle both teams deserve credit for their tenacity and desire and it was a great game for the neutral for sure. Two good teams put on a fine show and it was a battle which had ability and character shown by all of the players. Stourbridge showed real determination and spirit and City had to dig deep to get this result which was hard earned.